Greeting from Taiwan! And it is a prospective cooperation letter from Der Shin Tools; please kindly allow me to introduce our company for you. We are a leading supplier and exporter who specialized in cold forming tooling. If it is convenient for you. *Hex Punch, Extrusion Punch, Transferfingers and Pin with material of HSS or Tungsten Carbide. *Trimming Die, Sleeve and Die Case. *Heading Die with CB Carbide Grade specification. 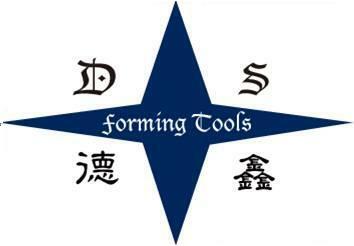 Der Shin Tools has trained the technicians constantly to ensure our customers the highest quality products. Most of our businesses at present are preceded in European market just like in Germany, Nederland and so on. In order to let more customers get our superior quality service, now we are beginning to expand the business in other countries. Finally, hope we can have a good interactive relationship with your company to create a win-win situation. Thank you very much to read the contents of this letter patiently, and it would be our great pleasure if we can serve for you in the future!